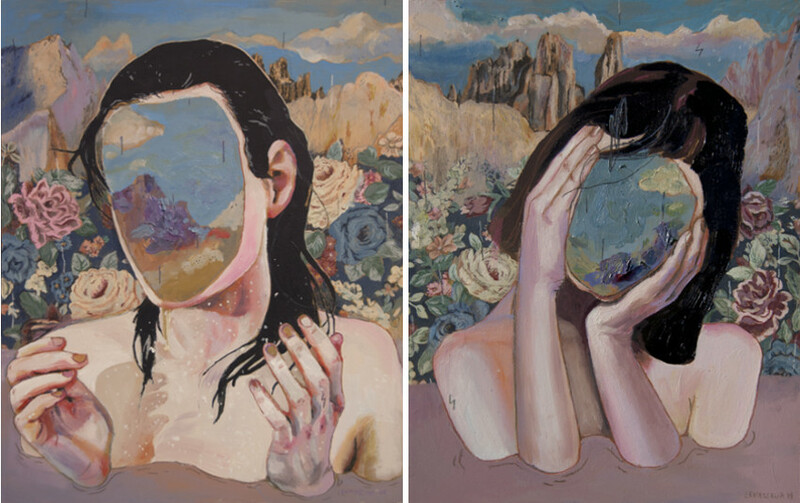 Alexandra Levasseur is a Canadian artist known for her surreal and vivid landscapes surrounding dreamy women who often appear with multiple faces, or in the process of movement and transformation. She creates the very delicate and beautifully executed artworks filled with emotions and drama that captivate viewers. Her amazing portraits of female subjects meshed together with crushing flora explore the relationship between mankind and the nature that surrounds us. Working in the classic colored pencils on paper and experimenting with oil painting on wood panel, mixed with crayons, Levasseur draws upon the ever-changing spectrum of human emotions to produce her paintings, drawings, and illustrations. 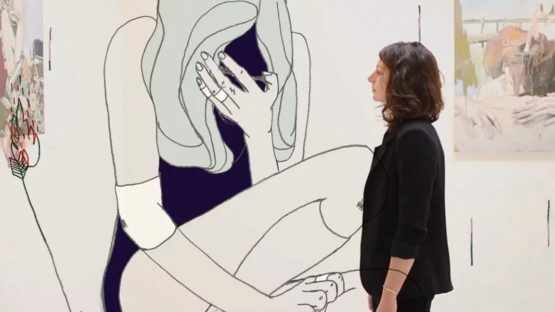 She believes that women are the symbol for the expression of emotions such as love, fear, anguish and unrequited desire which are the central themes of her practice. Over the years, the artist has developed a very personal palette that gives a surreal, dreamy quality to her half-abstracted landscaped portraits. One Drawing a Day is Alexandra Levasseur’s project which explores the artist’s physical and emotional changes in response to her surroundings. It involves 35 drawings made with acrylic painting and colored pencils on paper, each one completed in roughly one day, more or less consecutive. Her recent body of work – as her earlier series – depicts female figures, but now, the ladies increasingly become one with the landscape. Titled Body of Land, it includes several sub-series that imagine an ideal relation between the human beings and their environment, the nature that surrounds people. The artist used the feminine figure as the symbol of beauty and as the protector of nature and the planet which is represented as one single organism where nothing is destroyed. In March 2015, her paintings were presented at her solo show Body of Land held at Mirus Gallery in San Francisco, California, USA. 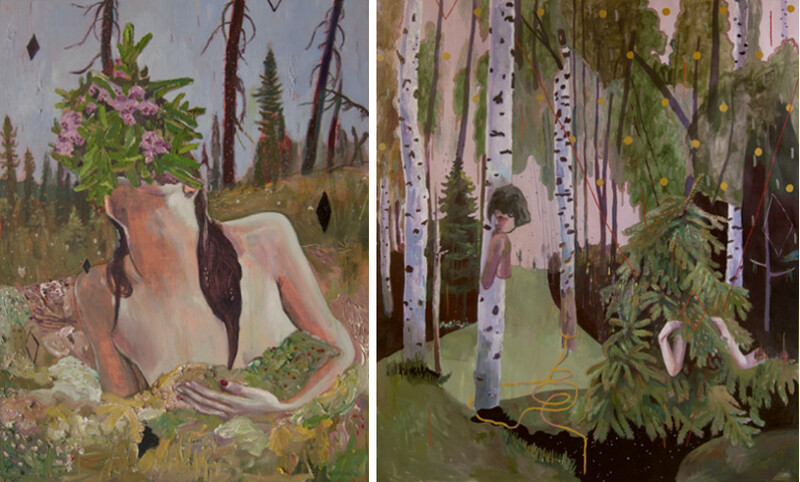 Alexandra Levasseur’s work has been exhibited in galleries and museum worldwide, including at Galerie Roccia, Montreal, QC, Canada; Victoria & Albert Museum, London, UK; Galeria Equilatero, Costa Rica; SHOWstudio, London, UK; and Picasso Museum, Barcelona, Spain; to name a few. Many magazines have devoted articles and publications to her work including Juxtapoz, Hi Fructoze, Booooooom, Hot ’n’ Gold, Beautiful Bizarre, Metal Magazine, The Hundreds, and others. Levasseur’s film Table d’hote was on display at the festivals worldwide. In her captivating and touching oeuvre, Levasseur depicts her subjects and their environment as a single organism showing that humanity can’t live without nature which is one of the most important factors to our existence. She is represented by Montreal-located Galerie C.O.A. 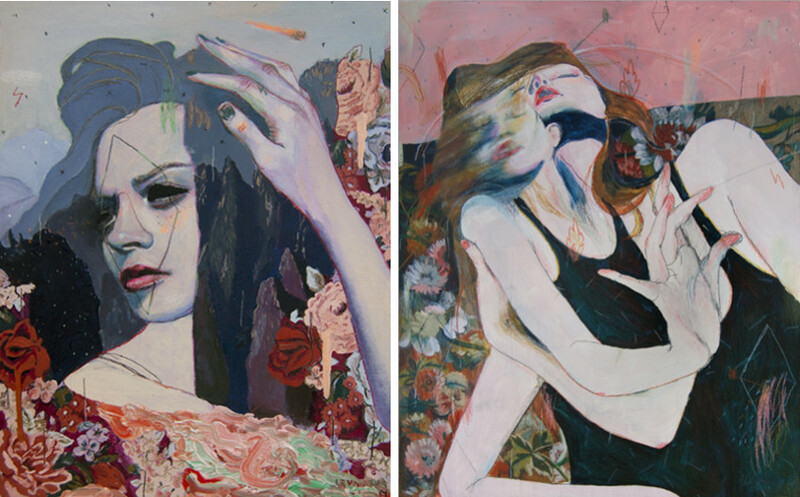 Alexandra Levasseur lives and works in Montreal, QC, Canada.